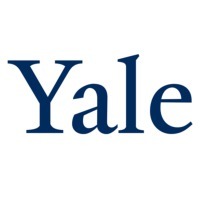 Review: Yale University is a private Ivy League university located in New Haven, Connecticut, United States. Founded in 1701 in the Colony of Connecticut, the university is the third-oldest institution of higher education in the United States. Incorporated as the Collegiate School, the institution traces its roots to 17th-century clergymen who sought to establish a college to train clergy and political leaders for the colony. In 1718, the College was renamed Yale College to honor a gift from Elihu Yale, a governor of the British East India Company. Location & access map for "Yale University"